I have officially been in France for three weeks now (it feels like so much longer than that!) and I have started planning weekend trips from the ever-popular city, Paris. Since Paris is only two hours on the train for me, it’s extremely easy for me to get up, catch the train, and figure out a place to head to for the day. If you’re headed to Paris and wanting to see something other than the City of Lights, these five places are easy to get to and definitely worth seeing. Rouen is about an hour and a half north of Paris. The gorgeous town is in the Normandy region of France, where you’ll find brightly colored buildings, an incredible cathedral, and the tower where Joan of Arc was held before she was executed. While this area can be somewhat touristy, it’s still an incredible place to visit and easy to get to from Paris. Mont Saint Michel is an island with a magnificent abbey that towers over everything. Even if you decide not to head inside the abbey (it’s 9€ if you’re over 25 and free for everyone else), the town itself is gorgeous with lots of delicious food you should try immediately. 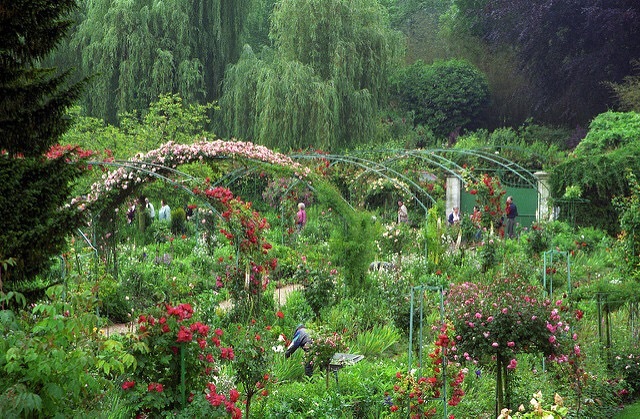 If you’re a fan of Monet, you’ll want to head to Giverny immediately. You’ll be able to stroll through Monet’s home and garden and feel immediately as if you’re in one of his paintings. Unfortunately, Lille is overlooked by many tourists but it is one of the best day trips from Paris. If you’re a foodie, you don’t want to miss this city at all. Home to incredible museums, intriguing architecture, and delicious food, Lille is an easy day trip to take from Paris that you must take. While you may stop here while castle hunting, this shouldn’t just be a place for you to stop for lunch. Orléans is home to the streets Joan of Arc walked along, and the house she spent time in still stands. Enjoy delicious food, insane architecture, and castles that will take your breath away.